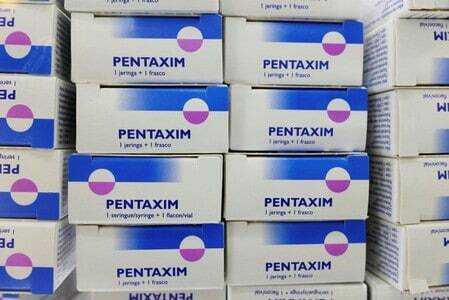 HONG KONG (Reuters) – Henry Yeung, a pediatrician and president of the Hong Kong Doctors Union, has just boosted his orders for a popular vaccine for infants – stocking up in preparation for a surge in mainland Chinese visitors spooked by the country’s latest vaccine scandal. “I am guessing that demand is going to double,” he said of his outlook for the next few months. The shot prevents diphtheria, tetanus, whooping cough, polio as well as Hib, a bacterial illness which can cause a range of diseases. Currently, mainland infants account for about 10 percent of demand for the 5-in-1 vaccine at Hong Kong’s private clinics, he added. In mainland China, confidence in local vaccines has been shaken anew and social media has erupted in fury after Changsheng Bio-technology Co Ltd was found to falsified data for its rabies vaccines and produced ineffective batches for shots to prevent diphtheria, whooping cough and tetanus. Whereas domestically made vaccines account for 95 percent of the mainland market, many Hong Kong private clinics provide foreign imports produced by global pharmaceutical giants such as GlaxoSmithKline and Sanofi. That appeals to the likes of Eunice Li, a 31-year old mother from the southern Chinese city of Shenzhen, who says she had planned on coming to Hong Kong anyway to vaccinate her son but was now doubly thankful she had done her homework. “I did research beforehand. Comparing to those in China, I think Hong Kong’s vaccines are better so I chose to come here,” she said as she fed her son a cookie at the LuxMed Clinic in the shopping district of Tsim Sha Tsui. LuxMed says it has seen enquiries from mainland Chinese surge five or six-fold over the past few days. Public outrage over the Changsheng scandal has seen the company become the subject of multiple investigations – including probes by the police, the top corruption watchdog and the securities regulator. President Xi Jinping has denounced the scandal as “vile and shocking”, while Changsheng has publicly apologized in a regulatory filing. The mid-sized firm’s chairwoman and 14 others have since been detained by police, state media said on Tuesday. “A lot of people started posting on WeChat about this issue, to express their anger, their fears and concerns. We need a more fundamental solution to this problem,” said Li, noting there had similar scandals in mainland China before. These include a 2016 scandal where Chinese police busted a gang which sold around $90 million worth of illegal vaccines on the black market. Hong Kong has long served as a haven for mainland Chinese consumers following food and public health scandals in China through the years. But unlike some incidents where there has been a run on stocks of certain products, few problems are expected with the impending jump in vaccination-seeking visitors. The government provides about 90 percent of vaccinations for Hong Kong children through the public service. Some locals prefer private clinics as they offer the 5-in-1 vaccine, whereas public clinics offer a 4-in-1 vaccine that does not include prevention against Hib disease. Representatives for Sanofi and GSK said supplies in Hong Kong were stable.